We renamed from Blaze to Beryl, but our mission as a business has remained the same - to try to build a better world, by getting more people in cities on bikes. As many of you know, we started on this journey six years ago with the Laserlight, designed to make urban cycling safer and more enjoyable. Since then we’ve integrated our technology into the city bikes of London, New York, Montreal and Glasgow. Meanwhile, behind the scenes we were also the technology partner for the new Santander Cycles: providing lights, lasers, sensors, GPS and connectivity. Today, we announced the latest milestone in Beryl’s history: our first public bike share launch in Bournemouth, Poole and Christchurch! 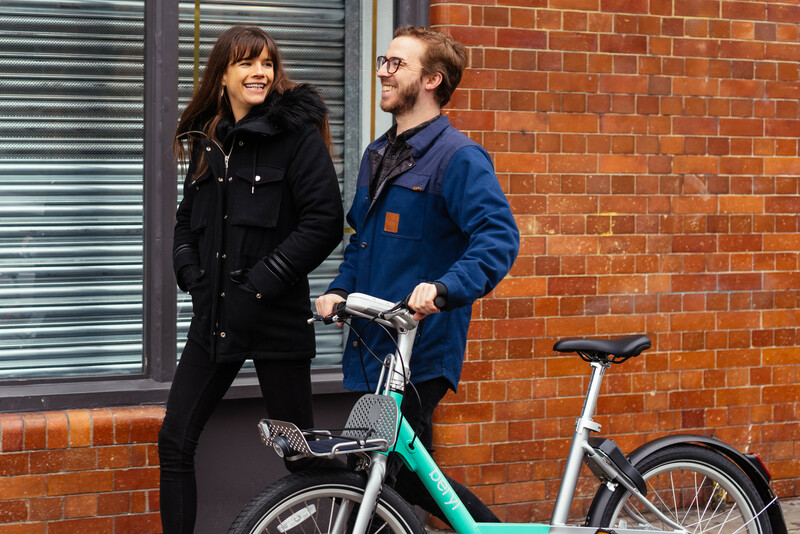 We'll be delivering a thousand of our own Beryl Bikes over the spring and summer months this year, making it easier, quicker and more enjoyable for residents and visitors to get around their city. Over the past 18 months, our team has quietly and deliberately been whittling away at some of the most complex challenges within the bike share industry. We’ve seen how thoughtless implementation of ‘scale-fast’ bike share has not been appropriate in our cities. Simply dumping bikes on streets won’t work - local authorities require more control and consumers demand a greater level of quality and safety. We have been building a more sustainable option. We have designed our bike and all technology in-house, to ensure an enjoyable and easy experience for riders with far more integration and data for cities and urban planners alike. We started from the premise that we need to work hand-in-hand with cities as true partners, in order to build a scheme that works for their residents and helps them achieve their goals for active travel. We could not have hoped for a better launch partner in Bournemouth and Poole! With fantastic cycle infrastructure and congested traffic, they’re genuinely committed to enable cycling as an option for residents and visitors alike. We can't wait for our distinctive green bikes to be a familiar sight there very soon and we hope that if you live in the area or are visiting this summer, you'll take one out for a ride. We look back at an exciting year in urban mobility. With a flurry of activity from dockless bike share and escooter companies, two-wheeled travel had a huge year in 2018. We attended the first Collaborative Mobility (CoMo) conference in London. Here's what we learned about the future of urban transport. The bike share scheme in Glasgow becomes the first in Scotland to trial the Beryl Laserlight.